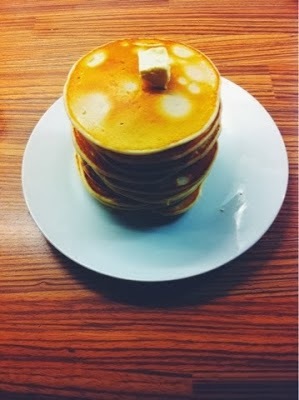 It's pancake day! 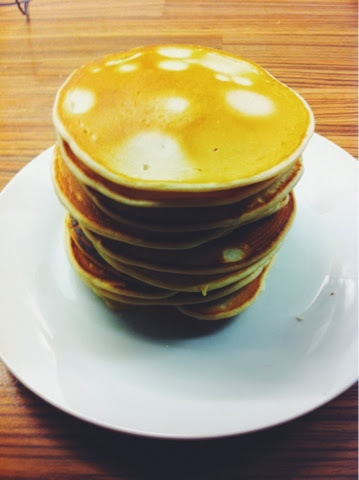 I love pancakes and I eat them all year round! Today I decided to try and make American style pancakes rather than your typical pancake even though i do love those just as much! I was looking for a simple and easy to follow recipe when I found Nigella Lawson's recipe I made a few adjustments to suit me and decided to try it out. This recipe is so so simple! All you need to do is literally mix all the ingredients together the easiest way is to mix the salt,baking powder,flour and sugar. Make a well in the mixture and add the egg and butter. Put them in the pan and your done! I added sugar and lemon to some and also added bacon to others which was suprisingly nice! Hi Olivia! 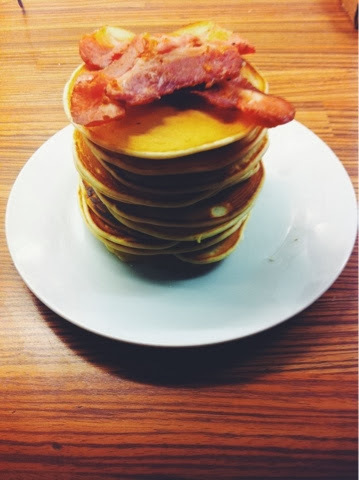 Happy pancake day :) Thank you for sending me your link via the #fblchat! Now following you! Wuold love it if you could check out my blog, if you haven't had the chance to already. 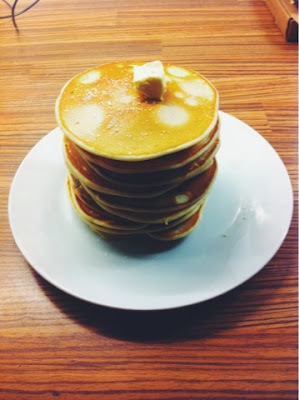 Even though Pancake day is over these pictures made me wanted to make even more! Hi Olivia. Thanks for checking out my blog. Love this post, wish I'd seen it before Tuesday, just had good old fashioned lemon juice and sugar with mine - perhaps I'll try out your fab suggestions this week-end! Nigella is such an inspiration - use her recipes regularly, if you like coffee and ice-cream, try out her coffee ice cream recipe, it's soo delicious and sooo easy peasy! Heyy, I know pancake day is over but I'm still jealous over your batch I didn't get any pancakes all day..
My word if this is your first attempt they look so perfect!! Thanks for the tweet - these look fab!